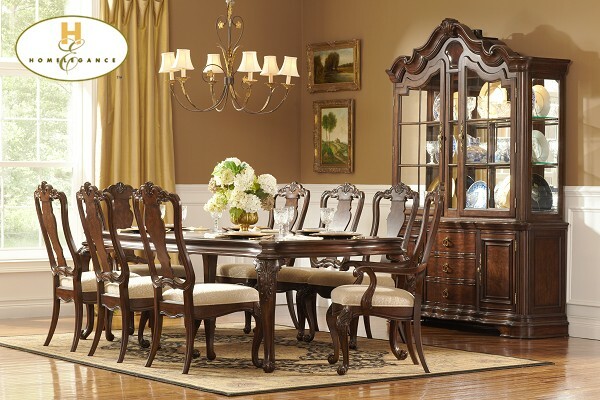 With Old World design inspiration, the Perry Hall Collection is a lovely addition to your traditional home. 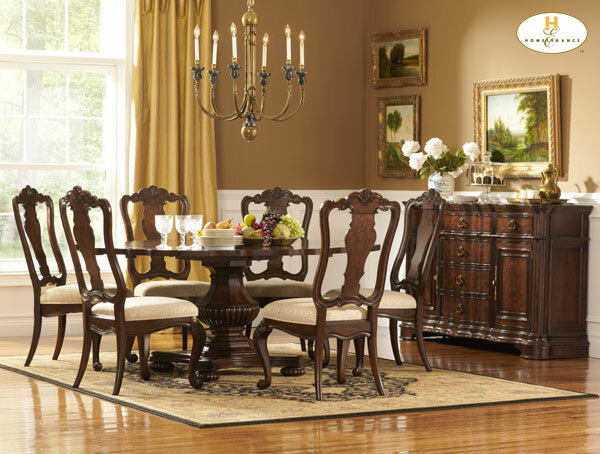 The stately leg dining table, pedestal dining table, and auxiliary display pieces feature serpentine design. 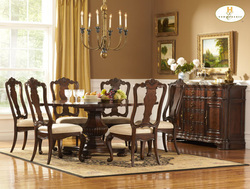 Further supporting the look is the heavy rail molding that carries from the table’s apron to china cabinet and server. Gracefully shaped drawer fronts add a softness to the design that is enhanced by aged brass hardware and cathedral cherry veneers and ash burl veneers in rich brown finish.